After the slurry has been coarsely screened, it passes through a low concentration cleaner and then enters the fine screen system. At present, there are many fine screening forms, such as outflow type and inflow type. From the practical results, the upflow pressure screen has a better effect, and its output is large, and the screening effect is good. The principle is the same as the upflow coarse screen. The difference is that its rotor is a gap-adjustable rotor and the rotor speed is lower than the coarse screen. The selection of fine screen depends on the selection of the screen slot. The screening concentration should be controlled between 0.8% and 1.5%. 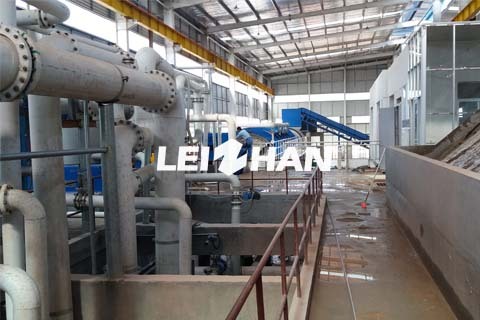 In the production of high-grade paper, the sieve selection is as small as possible, so that impurities in the waste paper pulp can be removed during screening, including a large amount of stickies in the waste paper pulp. The stickies in waste paper is hard to remove when the screen slot is large. Of course, there is a minimum value for the mesh. Generally, in the production of newsprint, the fine screen slot should be selected from 0.12 to 0.15 mm. 0.12-0.15 mm is selected for screening of deinked pulp containing mechanical wood pulp. 0.10-0.12 mm is selected for screening of deinked pulp without mechanical wood pulp. In the OCC pulp screening, the screen slot is generally taken to be 0.20-0.25 mm.